Paul M. Chase, age 58, beloved partner of Terry Briner. Cherished son of Lorraine, nee Fishman and the late Norman Chase. Devoted brother of Beth (Sam) Avraham and Leslie (Richard) Korengold. Adored uncle of Joey Avraham, Veronica and Lucas Korengold. A loving cousin, nephew and friend to many. Paul was a dedicated health care lawyer & advocate fighting for health insurance for those who could not afford their own. Paul was a gentle kind man who loved playing the guitar, and had a deep appreciation of the outdoors. Memorial service Sunday 12:15 PM at Shalom Memorial Funeral Home, 1700 W. Rand Rd., Arlington Heights. In lieu of flowers, donations may be made to Covering Kids & Families of Indiana, P.O. Box 1302-1302, South Bend, IN 46624 . 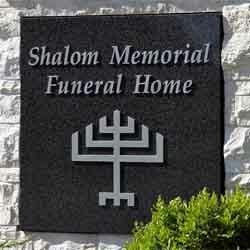 For information and to leave tributes and condolences please call (847) 255- 3520 or www.shalom2.com. Paul was truly a kind person. I am very happy to have known him. I went to High School with Paul in Highland Park. I am sad to hear about his death. I am amazed to hear about the great work that he had done in his life. My thoughts and prayers go out to to Terry and his family. I just remember him as a great young man and a leader at a early age. He will be dearly missed. I had the privilege of serving with Paul for 10 years on the Indiana Civil Rights Commission. Paul served as Chair of the Commission for part of that time. He was a gentleman and scholar. Although we may have differered at times on phlosophy, he was always kind and thoughtful in his approach. Paul will be missed! I had the honor of working with Paul during my time at The Damien Center, Inc. in Indianapolis - 1990-92. Since then, I have been aware of his successful career and work as an advocate for many. His passing is a huge loss for many. My deepest sympathy to his family and partner, Terry. R.I.P. Had the pleasure of having lunch with Paul and a number of colleagues at a conference in Portland, OR in June....so sorry. His work and his advocacy for others will remain. I only knew Paul briefly and as a colleague when I worked at the AIDS Resource Group in Evansville, but his character left an impact on me as my best friend was fighting a legal case against an employer who fired him because of his HIV status some 18 years ago. Paul was indeed a great advocate for my friend and I am sure for countless others. At that time, he was a calm presence for us as we embarked on a very difficult and stormy journey for justice. I truly appreciated his counsel as I know my friend did. I was saddened to read about his sudden death and I am very sorry for his loss. I send my condolesences to his partner, family, friends and the many people he helped and was still fighting for. Paul was an amazing advocate and friend to the children of Indiana. He worked tirelessly to ensure that the most vulnerable populations received health care. One of my memories was when we were setting up a non-profit coalition to address health care reform. Paul not only brought expertise but was making coffee, greeting each person and doing whatever it took to make the meeting successful. He leaves a legacy of caring, hard work, collaboration and championship for children. The Indiana Chapter of the American Academy of Pediatrics is thankful to him and will dearly miss him. I believe I first met Paul about 25 years ago when we would do a morning swim at about the same time at the Natatorium in Indianapolis and enjoyed the brief talks we would have before we would start our days. I too, remember his dry wit and would occasionally chuckle to myself later in the day thinking of something he had said. This contact led to Paul drawing up my first will with my now husband. I admired his passion for advocating for the less fortunate in the state. Our paths over the years eventually led to different routines and I lost touch with Paul when I no longer used the Natatorium for my swimming. But I would think of him from time to time and wonder what he and Terry were up to - so sorry to hear about him in this fashion. My condolences to Terry and the family. Our hearts broken when we heard the news of Paul's accident. I can honestly say that in 15 years in state government in Indianapolis, ending with my service on Governor Frank O'Bannon's staff, I never met a more beautiful, kind and graceful person. I was lucky to have known Paul since about 1990 when he was working for ICAAN and Indiana Cares and we served on the first organizing committees for the Indiana AIDS Walk. Professionally and personally he was a leader and a kind friend to me. I can distinctly remember him stopping by to see me during a period when I had lost my job and he wanted to make sure I was doing OK. Last I saw him was at the Statehouse and he was there, as always, working on behalf of others. Terry and Paul's mom and siblings and nieces/nephews, thank you for sharing this dear one with us. Truly one of the greatest men I ever known, and I continue to lift you and yours in prayer. Peace be yours. I last saw Paul on Tuesday, June 24, 2014 at the Indiana School Health Conference. He was so happy and gave me such a warm hug. He and I had only known one another for about 2 years but it felt as though I knew him for a lifetime. I will truly miss him and his smiling face. Most recently, Paul's office was in the same suite as mine, so we would often talk at work. However, I have known Paul for 15 years through our mutual work at the State House. Paul had such a warm, helpful and caring sense about him. I never heard Paul utter an unkind word about anyone, even when they may have deserved it. He was so well respected at the State House, by legislators and lobbyists of both political parties, and had a way of calming tension when people were engaged in tough discussions. Rather than sinking to "politics as usual" Paul would offer thoughtful, intelligent guidance on whatever was the issue at hand. He was a hard worker and a passionate advocate for the underserved and forgotten. Most of all, I will remember Paul's hilarious sense of humor. His dry wit could bring a smile to any situation. Paul was a great friend and I will miss him dearly. My prayers go out to all of Paul's family and friends. I am so saddened to hear of Paul's passing. He was an amazing man and a wonderful colleague of mine on the Indiana Debate Commission. I will miss him very much. My condolences to his loved ones on their loss. I had the privilege of working with Paul during his time at AARP and more closely in the past year with Covering Kids & Families. Paul was a skilled advocate who advanced the causes he held dear with a peaceful and honest resolve. The experience, insight and passion he poured into his work made a meaningful difference in the lives of countless people; and his thoughtful and compassionate disposition simply made it a pleasure to be around him. I will greatly miss Paul and I am honored to have called him both a colleague and a friend. My sympathy to Terry and to Paul's family and friends. Paul was a great friend. We worked together in AARP. Always a loving and caring person with such a gentle spirit. He was everything that is good in we humans. He will be greatly missed! May God remember the soul of Paul Mitchell Chase who has passed to eternal rest. O God, I pray that you will keep the soul of my dear______________ united with us in the bond of life. In his/her memory, guide me so that I will live righteously, fulfilling Your will and serving our people. May his/her soul rest in peace and be remembered as a blessing. O God, as I remember, Paul Mitchell Chase I pray that I may emulate all that was good and righteous in his/her life. May his/her soul be given eternal life and his/her memory always remain a comfort and source of inspiration. A link has been broken in the chain that has bound us together, yet strong bonds of home and love hold us each to the other and we give thanks for the blessing of life, of companionship, and of memory.